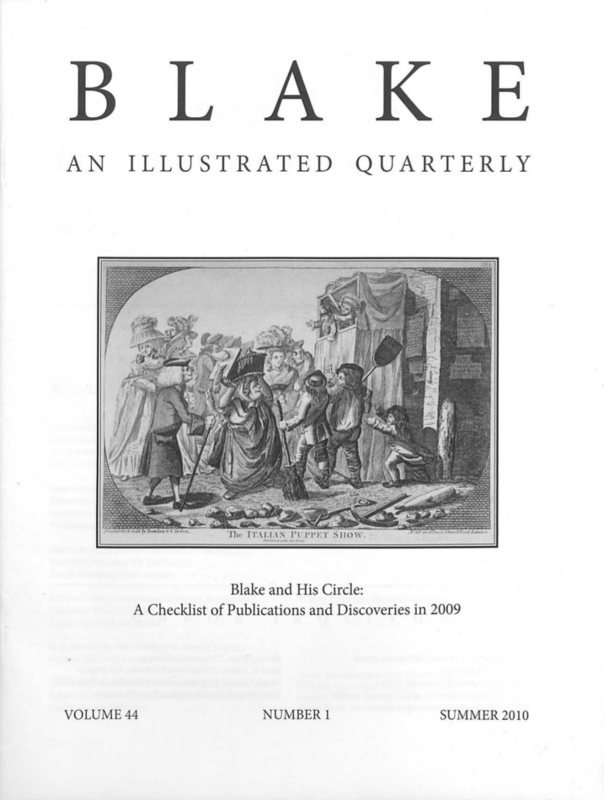 G. E. BENTLEY, JR., is attempting, thus far in vain, to persuade Blake scholars that he has identified Blake’s most seen, least known picture. Cover: An engraving, improbably attributed to William Blake, after a drawing ascribed to Samuel Collings. 23.5 × 15.9 cm. City of London, London Metropolitan Archives, main print collection, record 26963. See “Red Herring” in the introductory essay.